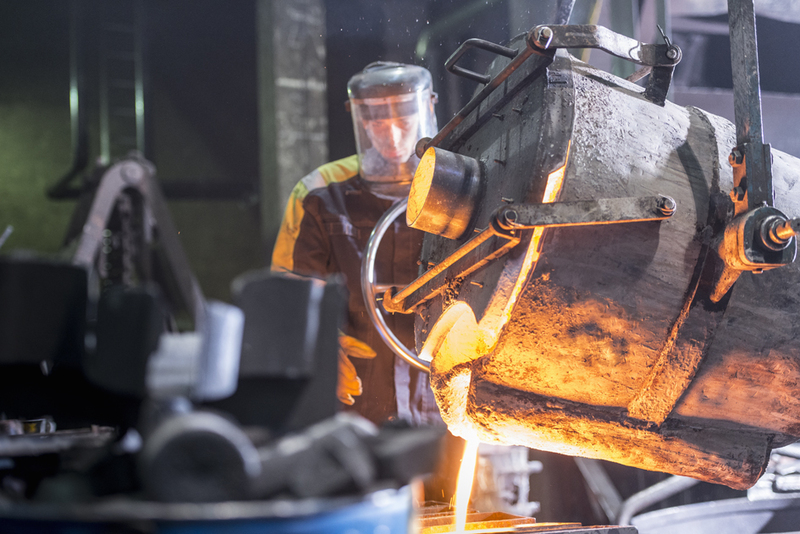 Iron castings have been used to solve architectural and engineering problems for over 400 years. One of the first applications was in the production of cannon barrels in the 16th and 17 centuries, whilst the 18th century saw uses in domestic areas such as fire places. he surge in uses really came during the industrial revolution when improved production methods led to iron that was reliable enough to be used in engineering applications in areas such as bridge, locomotive and ship construction coupled with the vision of engineers like Isambard Kingdom Brunell. 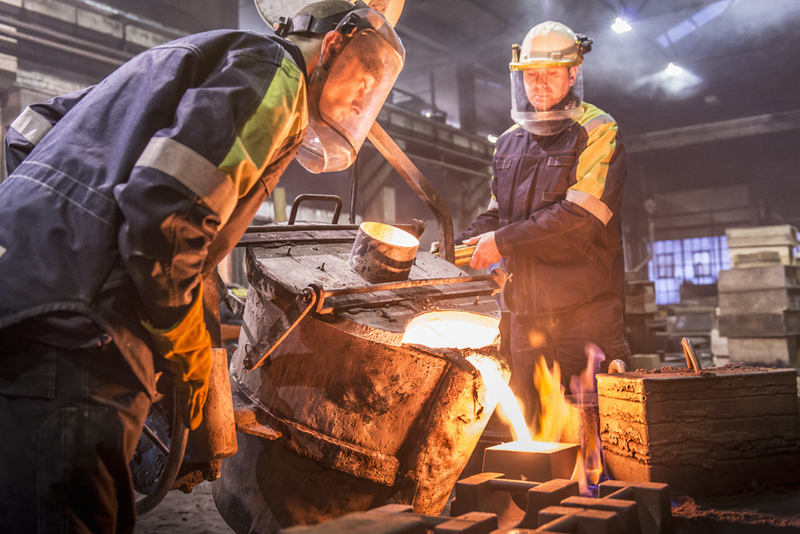 Call Durham Foundry on 0114 249 4977 to discuss your Cast Iron & Cast Iron Castings project. 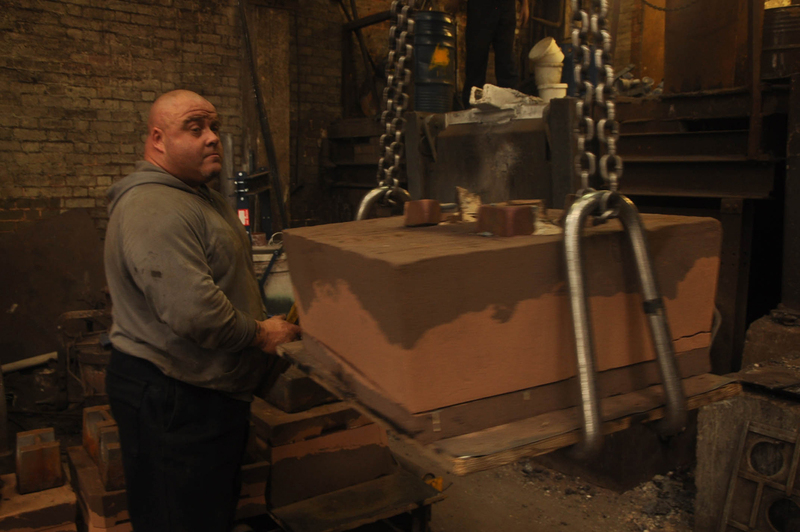 At Durham Foundry we have been producing iron castings for over a hundred years. 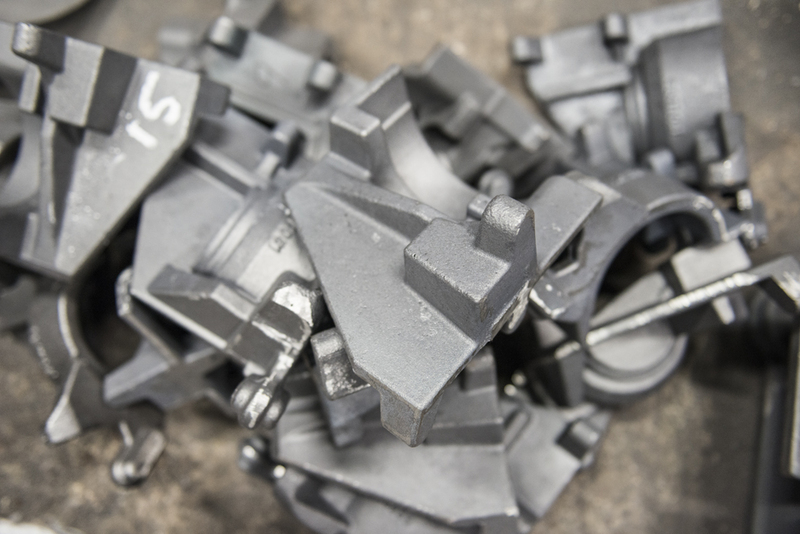 Our customer base covers the engineering, decorative, architectural and artistic sectors and we supply castings from one off up to small to medium batch production using Alkali Phenolic resin bonded sands. Our workforce of highly skilled moulders can work from complex loose pattern equipment, particularly where low volumes are required, whilst our moulding line is suited for batch production. 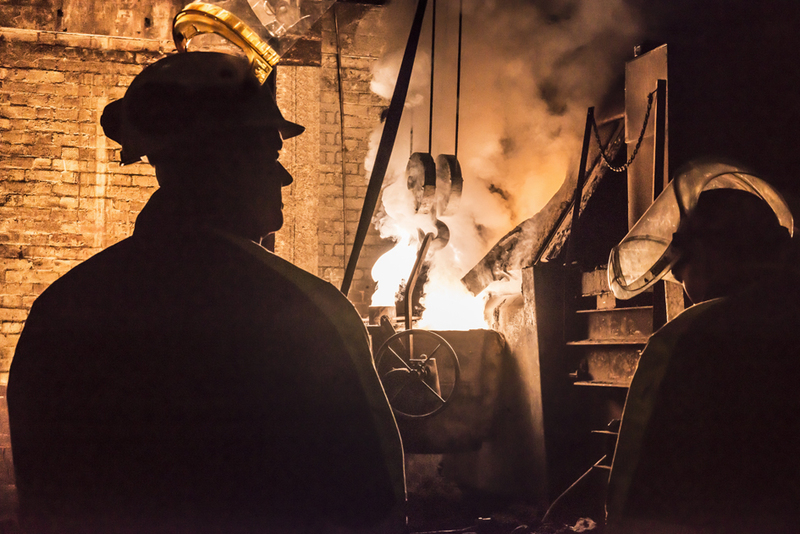 Our long trading history, coupled with an investment programme that has enabled us to keep up with modern production methods and environmental legislation has meant that we are approved suppliers to companies such as Corus, Sheffield Forgemasters and Firth Rixson. All our castings are produced to a current ISO specification, ISO 185 2005, along with any further certification which a customer may require. 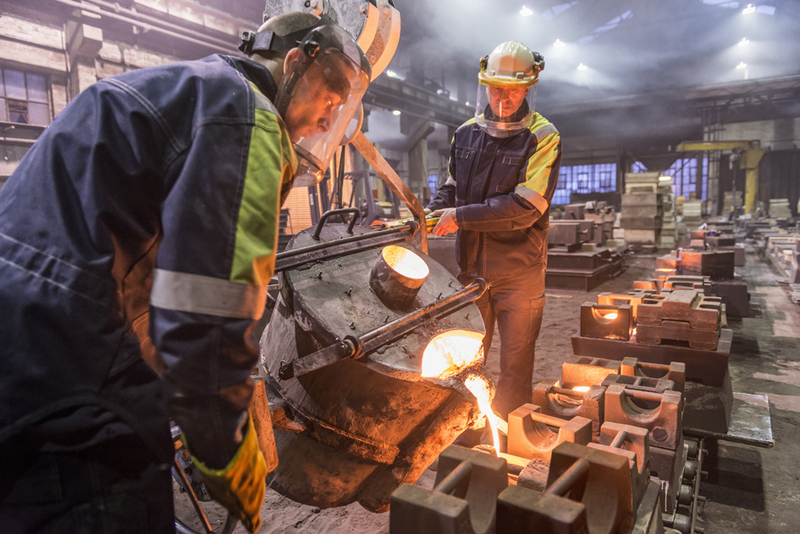 Our diverse customer base has given us experience in a wide range of applications for iron castings across many market sectors including pumps and valves, forges, foundries and rolling mills, automotive and aerospace, a wide range of OEMs, quarries and mines, railways and rolling stock, local authorities and artists and sculptors. We also have long term trading relationships with local pattern makers, machine shops and surface finishers which enable us to quote for the complete supply of machined and painted castings. 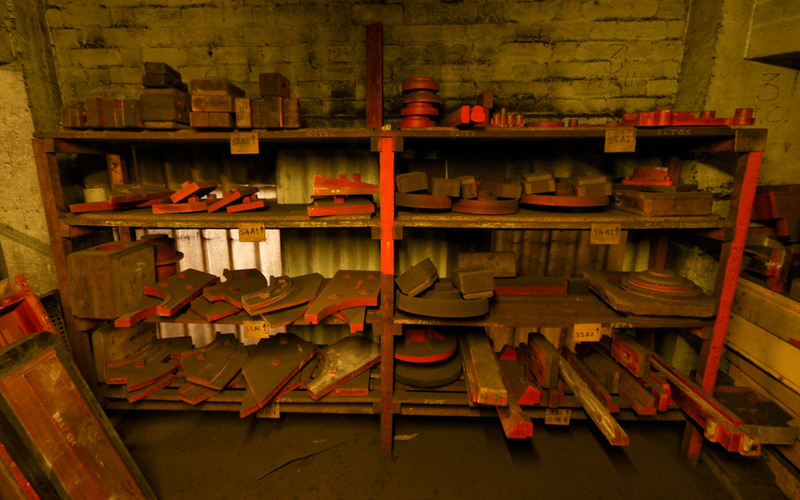 Iron castings of the size and quantity that Durham Foundry produces are traditionally made in sand moulds. The earliest type of sand system was Greensand, which is a combination of silica sand, clay and water, a naturally occurring sand which contains clay being used as the basis for the system. This sand is usually red in colour, although after use in a foundry the sand takes on a dark grey/brown colour. This can cause confusion when foundrymen talk about “green” sand. The term green is used to denote that the sand is wet, having about 2% water in it. If greensand is compacted around a pattern, the sand will retain its shape after the pattern is removed, which occurs because the clay in the sand provides an electrostatic bond between the clay and the sand grains. The more the sand is worked or rammed the greater the electrostatic charge that builds up and the stronger the final mould will be. Small additions of dextrose can be added to improve the bond and similar additions of powdered graphite or flour can be used to improve the permeability of the mould. 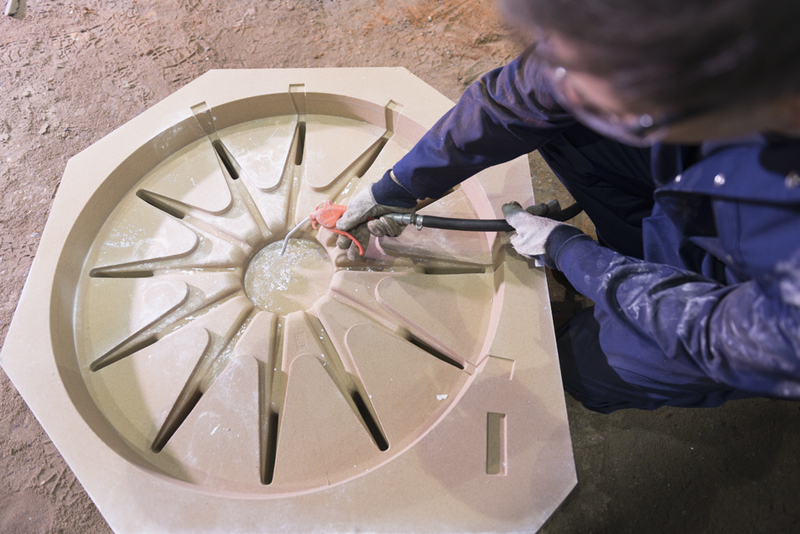 Greensand moulding is a highly skilled job and requires long periods of training to become proficient. Because of this and other cost considerations, sand systems that were simpler to use were developed in the late 50’s and early 60’s which were based around dry silica sand without any clay addition. The bond was achieved by the addition of a resin and a method of hardening the resin. There are two basic systems. Firstly a resin can be mixed into the sand that can be set off, or cured, by passing a gas through the sand. An example of this is the Sodium Silicate system. Sodium Silicate is mixed with the sand, the mould is made and CO2 gas is then passed through the sand around the pattern. The CO2 causes the silicate to harden through a combined action of dehydration and gelling of the silicate, which results in a stable mould from which the pattern can be removed. The second system is based on a resin and a catalyst. These are mixed into the sand in metered amounts and the sand hardens by a chemical reaction between the resin and the catalyst. One draw back to this system is that once the sand is mixed, there is a finite time that the sand can be used for. Greensand does not have that problem. 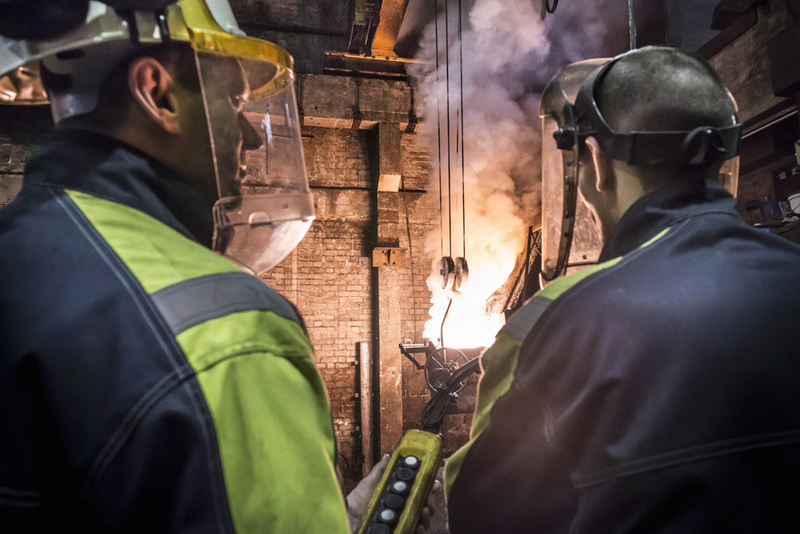 Please browse our website for more information about Durham Foundry and our ability to manufacture Iron Castings then contact us on 0114 249 4977 or e-mail us on castings@durhamfoundry.com or visit our dedicated website castironcastings.com for more information. Got a question about your Iron Castings?